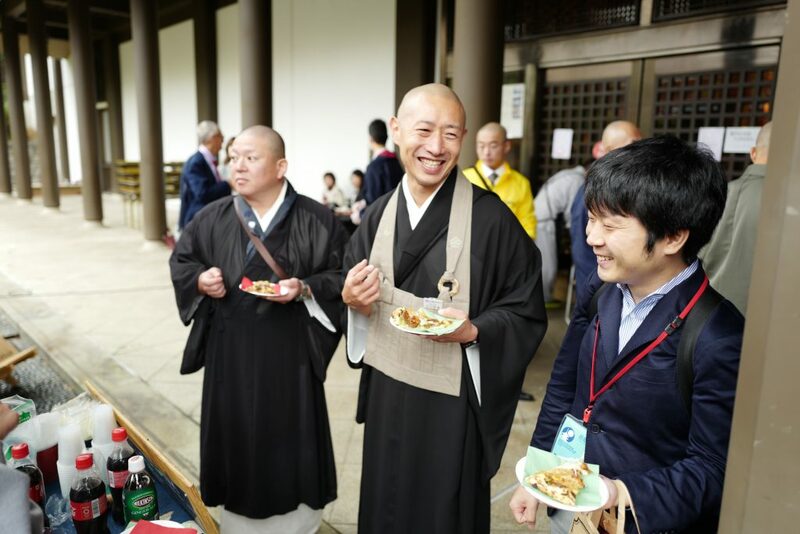 We had a special activity in Japan, during the occasion of “The 29th General Conference of the World fellowship of Buddhists” (WFB) and “11th Meeting of the World Buddhist University”. The theme of this event is: “Compassion in action for a world of peace”. As our ultimate purpose is to “Make the World Smile for Peace”, Pizza 4P’s, we really appreciated the opportunity to contribute. We created Whole Zen Lotus Pizza with an aim to express the spirit of “Pizza For Peace”. 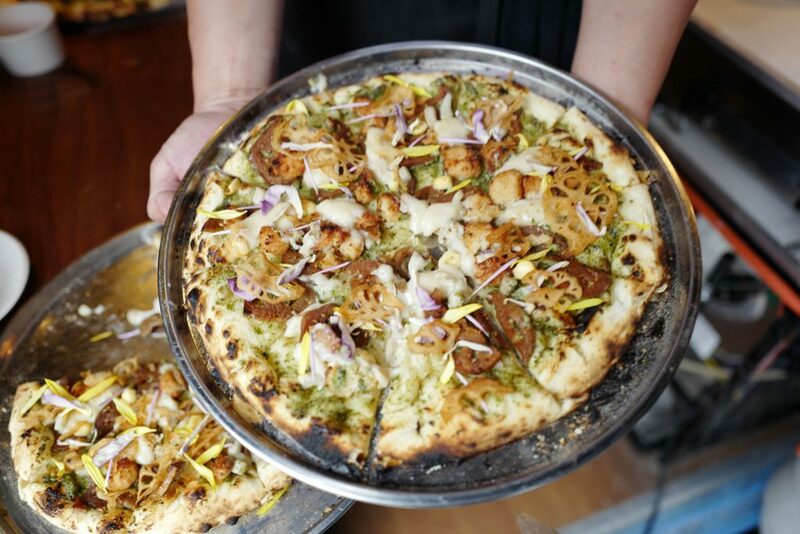 The Pizza took inspiration from Shojin Ryori (a traditional Japanese meal for Buddhist’s monks) and the connection image in Buddhism and Vietnamese symbolic flowers – Lotus. In Japan, a traditional Shojin Ryori meal is centered around soybean-based foods like tofu, along with seasonal vegetables and wild mountain plants. These ingredients are believed to bring a balance and alignment to the body, mind and spirit. For our Shojin (Vegan) Lotus Pizza, the ingredients are mainly made from Lotus and Tofu. – One philosophy of Shojin Ryori is treasuring creatures, without wasting or throwing food. Therefore, we tried to utilize whole parts of Lotus in this Shojin (vegan) Pizza. – Traditionally, dairy products as eggs and milk were not used in Japanese cuisine due to the ingredients’ scarcity. Similar to traditional, we used Tofu instead of cheese for the pizza. 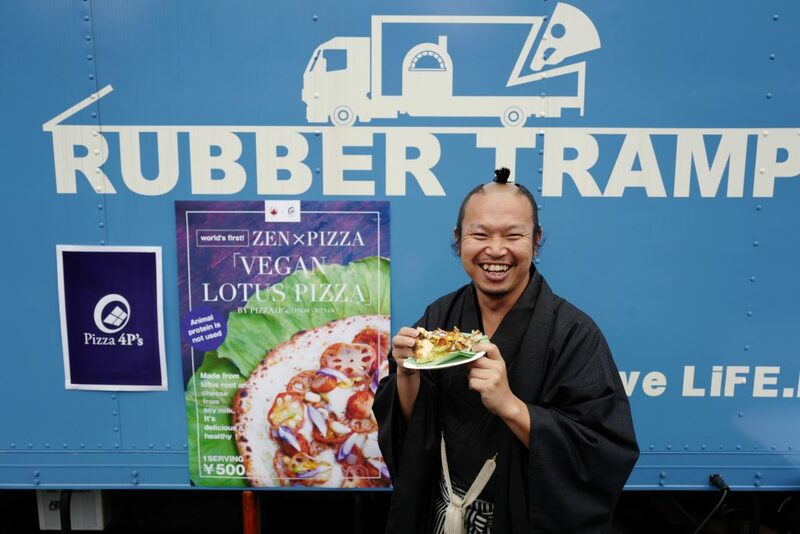 For cooperation, we prepared a food truck in front of the temple (where the event took place) and served our Whole Zen Lotus Pizza to the participants there. The activity took 2 days in Japan. 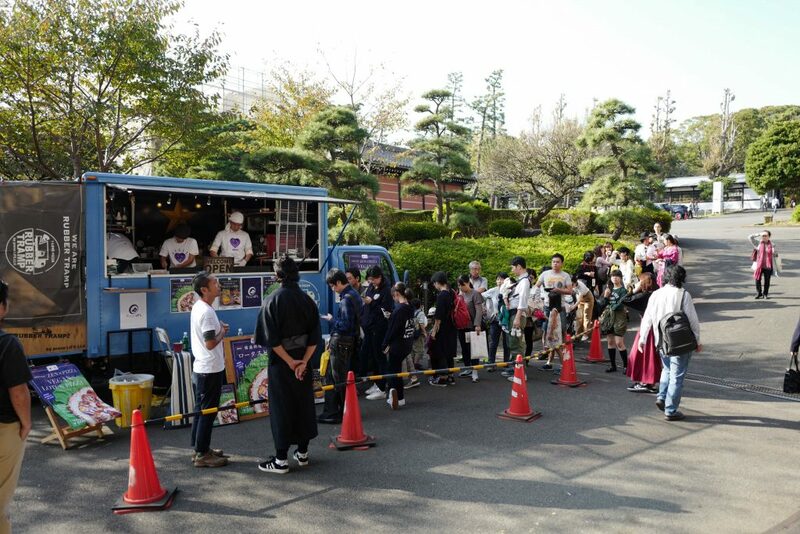 We appreciated seeing a long queue in front of our Pizza truck and receiving good feedback from the event’s participants.